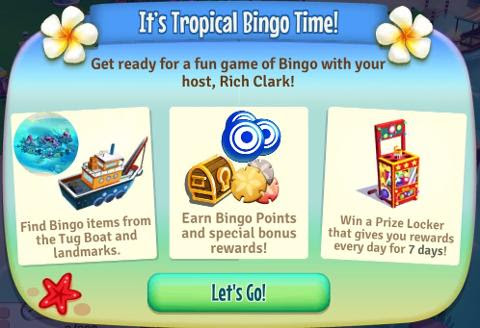 Due to insistent public demand of our island's guests, Kate has started an island Bingo and it will be hosted by none other than Rich Clark! 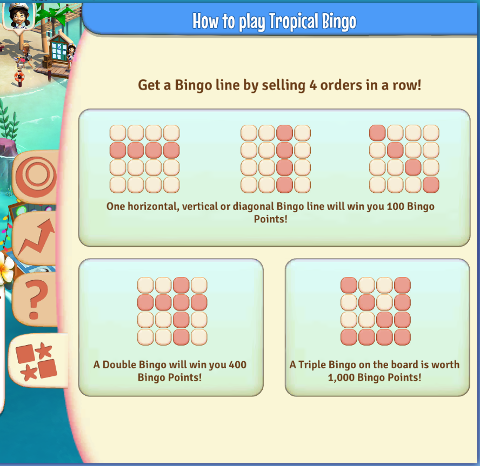 If you are at least level 12, you will see a pop-up inviting you to the Tropical Bingo! You will need to force close the game to see the update. You may even need to reboot your device. 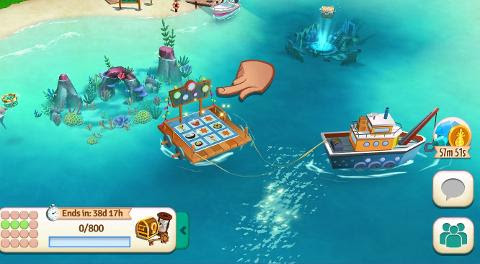 Start off the event by visiting the Bingo Booth floating beside the Coral Reef. Sell 4 orders in a row to win a Bingo and earn Bingo Points! Get three Bingos at the same time for the biggest score! Get a Bingo to earn a bonus Chest! Get 2x and 3x Bingos for double and triple bonus Chests! 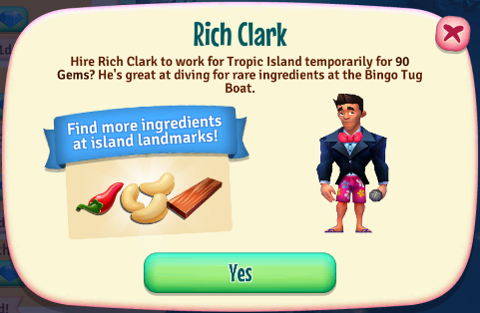 You can purchase Rich Clark, as a temporary Farm Hand. 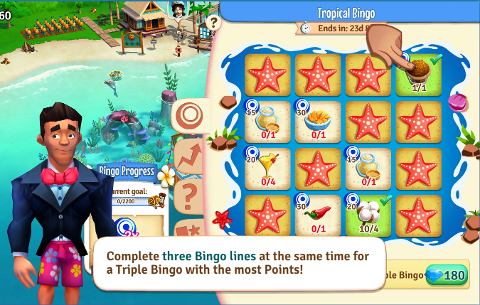 He can help you find those rare event items, and will leave once the Tropic Bingo is over! Boosts: Appears when you open the event and taps “use a boost” button. The 50% and 100% boost options can be purchased using coins and Diamonds, respectively. Boosts only affect individual item points, not the connect 4 or fast finish bonus points!